Sunday, 2 December, 2018, Metropolitan Vladimir of Chisinau and Moldova celebrated the Divine Liturgy in the Dormition of the Mother of God Monastery in Capriana, Straseni region, considered one of the most ancient and valuable monastic complexes in the Republic of Moldova. The arch-pastor of the Moldovan Church was assisted at the service by archpriest Vadim Cheibas, Metropolitan Secretary, archimandrite Filaret (Kuzmin), monk-superior of the Monastery of Capriana, and numerous clergy. Present at the service, among numerous participants, were President Igor Dodon and family. During the Liturgy, Metropolitan Vladimir officiated diaconal ordination of Marcel Baleca, 1st year student at the Theological Academy of Chisinau. After the Divine Service, the liturgical community participated in the inauguration of the monument of the Moldovan Prince Stephan the Great erected at the entrance to the Monastery of Capriana at the initiative and with the support of the President of the Republic of Moldova. 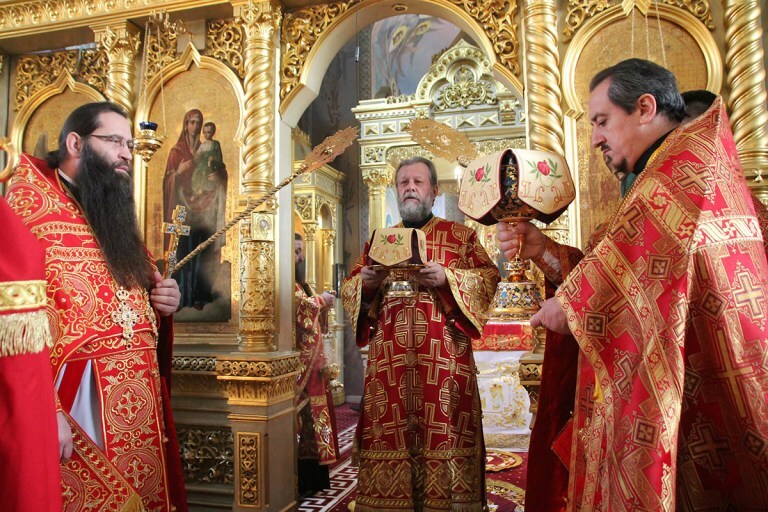 Returning to the Capital of the country, Metropolitan Vladimir participated in a solemn ceremony summing up the events within the closing Year of Stephan the Great. The event took place in the Palace of the Republic in Chisinau.